After being blanked last weekend by the Wilderness, the Eagles are looking to get back on track. The boys are headed to Port Huron to battle the first place Fighting Falcons. The Falcons took 3 of 4 points from their series last weekend against Johnstown, losing just one to an OT loss. In their last meeting, the Eagles were able to take 2 of 4 points from the Falcons with an OT win. The Eagles will not have the leadership of their captain, Ryan Urso, for three more games after a five game misconduct was given to him in the game against Johnstown on October 26. With having Urso out of the line-up it leaves big shoes to be filled by the alternates. Also questionable for play are forward Matt Menta and defensemen Michael Caruso, both have been in and out for injuries all season. Caruso was the player to thank for the shootout win against the Fighting Falcons. It does not appear that there have been any major roster changes in the last week. 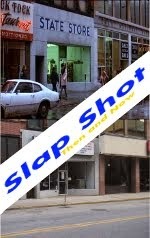 Fans who make the trip to Port Huron or listen online at FastHockey.com can expect a physical series. The Eagles are ready to go and make a statement, and there is no better way than beating the first place team. This will be the Eagles first trip to Port Huron for the season and beings the Eagles away game stint, as they will be gone the rest of the weekends of November. The Eagles will be home one Wednesday for a game against the Michigan Warriors. 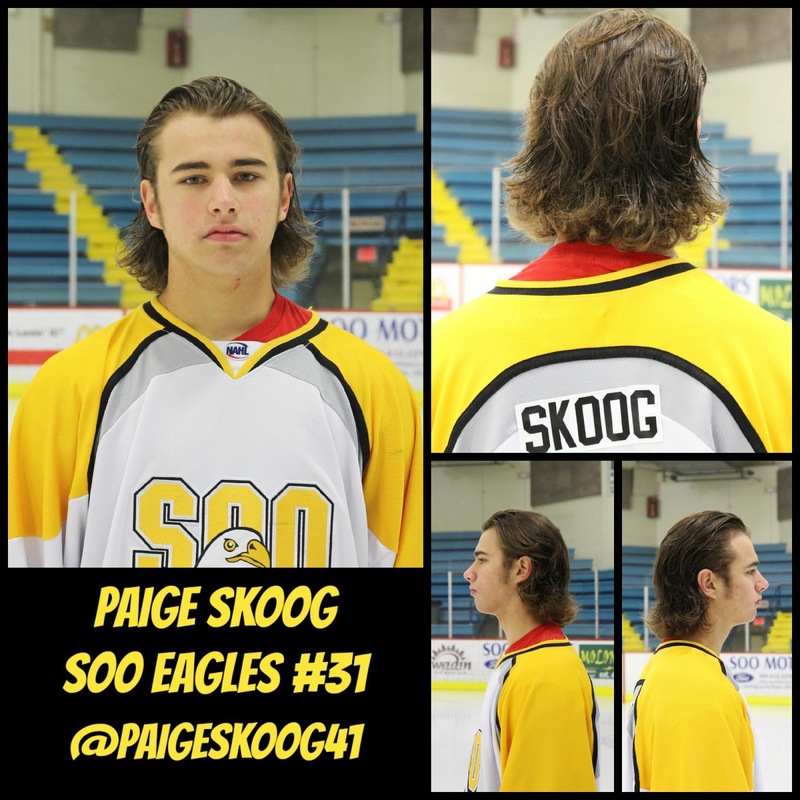 In other Eagle news, goalie Paige Skoog won flow of the month for October. 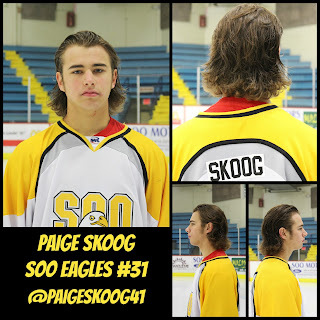 Skoog enters an elite club of Eagles who have also won the title. Last seasons’ winners were Cody VonRueden, Pat Gazzillo, Matt Menta, Tyler Marble, and Sean Murphy. Hopefully, like last season, the Eagles can dominate the Flow of the Month. This month is Movember, so participants also have to have great facial hair. There are a few players who could probably make it happen. Stay tuned. Good Luck to the boys that are now with there new teams they are better off!! !